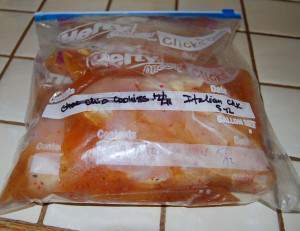 Today for my freezer cooking I made Italian Chicken. I have been making this recipe for years. 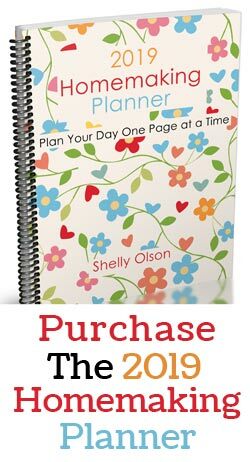 My family really likes it and I love it because it is so easy to make. 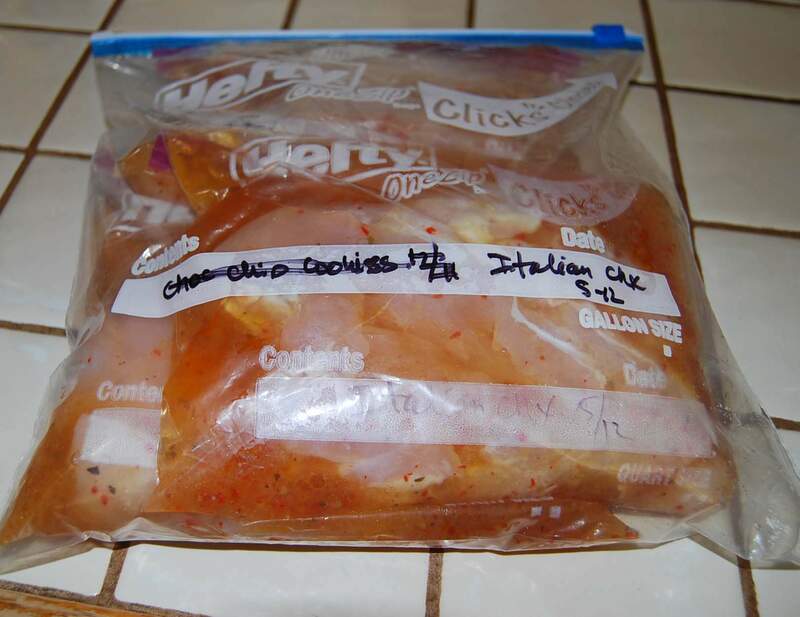 I have made this recipe with frozen chicken breasts or fresh chicken breasts. I purchased fresh chicken breasts on sale so that is what I used for this batch. 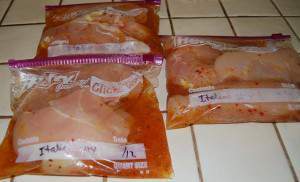 If you are using frozen, place the chicken frozen into a freezer bag. I placed three chicken breast into each bag. If you have a bigger family you may need more chicken in each bag. Then just pour the dressing over top. I used about 1/3 the bottle of dressing for each package. I think I could have used less but I dumped quite a bit in the first bag and wanted to keep the marinade even in each bag. 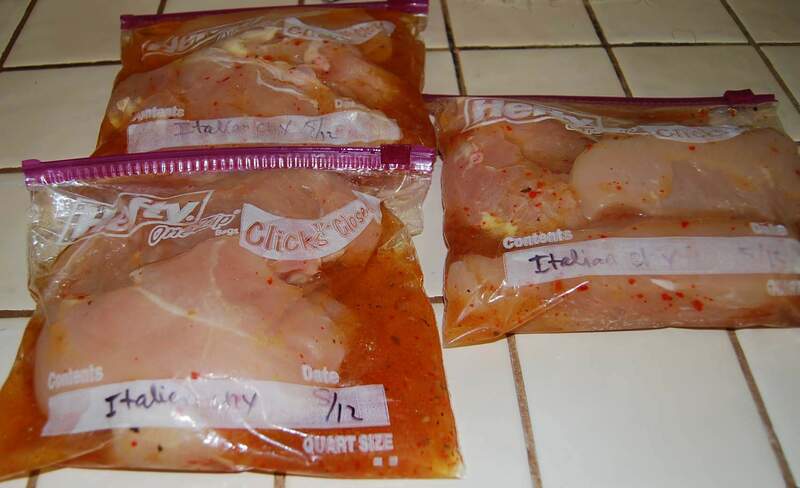 Remove as much air as you can and zip up the freezer bag. Make sure to label them so you know what you have in each bag. I used to think I would know what was in the bag when I looked at the package but you can’t always tell. I then place the smaller bags into a gallon sized freezer bag. I have had these leak in the freezer before so it is better to be safe than sorry. It is really that simple. 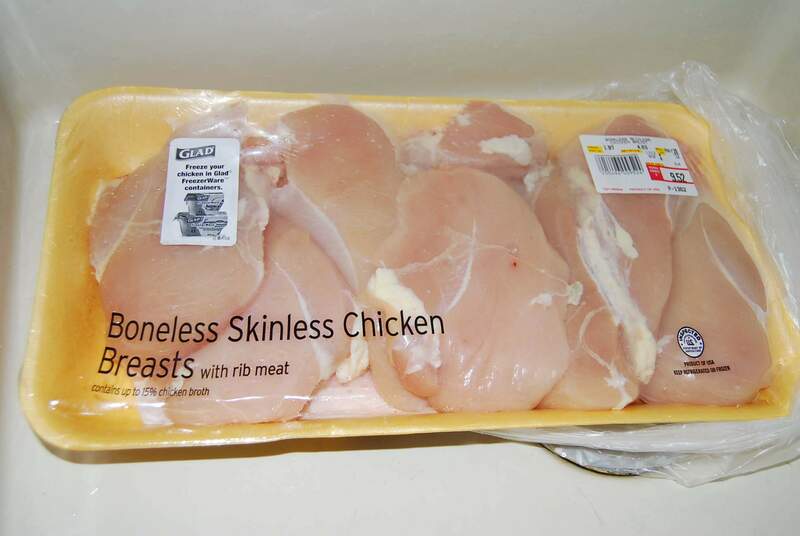 I usually will make these up when I purchase my 40 pounds of chicken breast from Zaycon Foods. 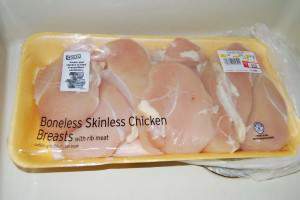 I will also make BBQ chicken packages, teriyaki chicken, sweet asian chicken and some packages of stir fry chicken. 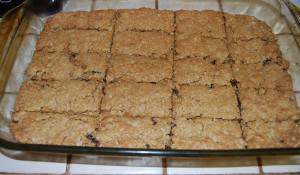 I also had some time to make a batch of a new recipe I found for Baking Mix Granola Bars. These granola bars were really quick to make. I think it took me about 30 minutes and that includes baking time. If you made the homemade baking mix too, you might want to give these a try. They turned out really good. I should have made two batches. Tomorrow’s freezer cooking will be the start of desserts and snacks. 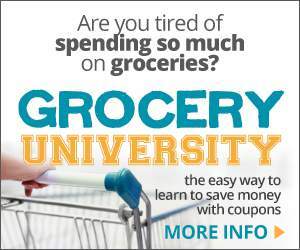 I am looking forward to seeing what Crystal at Money Saving Mom has planned. I haven’t made this chicken recipe before, but it was so simple! I can’t wait to taste it…hopefully my family will like it and we can have it all the time. I hope your kids like it. 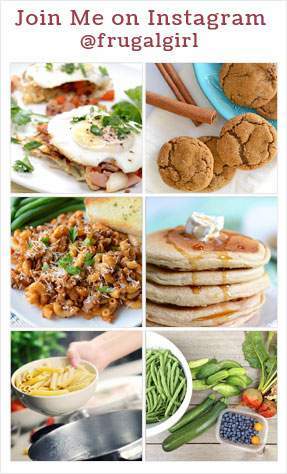 This recipe is one my son will eat without any problem. 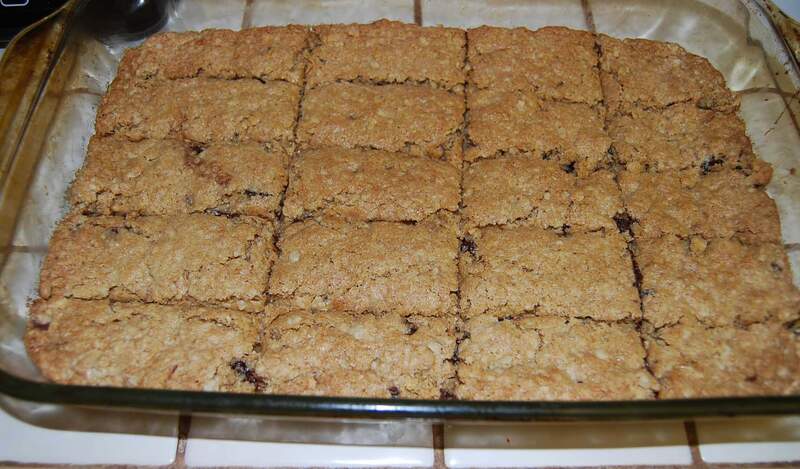 Your granola bars look super yummy! My kids are bigs fans of granola bars, and it would be nice to try to make them at home. These were really good. We have a few left in the cupboard but I am sure they won’t be around much longer.